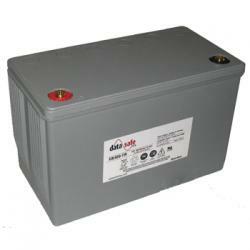 Enersys HX400 sealed lead acid battery is rated at 12Volts,94Ah with M6 threaded receptacle terminals. Dim. 8.3"H x 6.8"W x 13.3"L, Wt. 80 lbs.